Phoenix 360™ Promotion! Save up to 86% with Our Discount Coupon! Home » Blog » Massive Phoenix 360™ promotion! CNet Offers you a saving 86% RRP on that’s only $31.98 purchase price. I hope you’re well. As you’re likely aware, iolo recently launched a new title; Phoenix 360™. We’ve got some great news for you! 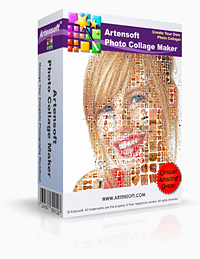 Through to the end of April, you can get 60% off this product through our software store. Exclusively by CNet, This will bring the cost of Phoenix 360™ down from $79.95 to $31.98! Please note: This is a staggering discount, as the RRP for all of the separate titles within Phoenix 360™ is $239.65, and you will save 86%! System Mechanic®. Boost your computer’s speed, power, and stability with advanced PC tune-up. System Mechanic provides the essential optimization toolset to clean hard drive clutter, repair your registry, defragment drives and memory, and optimize system and internet settings. [RRP When bought separately: $49.95]. Privacy Guardian™. Browse the web anonymously, thwart digital profiling of your online habits, keep web searches private and stop ad-trackers from following you around the internet. Protect your online privacy with Privacy Guardian. [RRP When bought separately: $34.95]. Malware Killer™. Provides advanced, on-demand malware detection and removal of a variety of modern threats. Malware Killer safely and effectively removes invasive malware other AVs can miss. For the nuclear option once your computer has already become infected, turn to Malware Killer for help. [RRP When bought separately: $24.95]. ByePass™. Simple, secure automated password management for Windows®, Android and iOS. ByePass helps protect your online identity by safeguarding passwords against hackers and simplifying the password management process across all of your digital devices. With ByePass, you never have to remember or type passwords online again. ByePass also features credit card encryption to help secure your online purchases. [RRP When bought separately: $19.95]. System Shield AntiVirus and AntiSpyware®. Eradicate stubborn PC pests and block future infections with no system slowdown. System Shield provides certified protection while maintaining maximum PC performance, so you can shop, bank, and socialize online without the threat of spyware, viruses, and other threats. [RRP When bought separately: $39.95]. Search and Recover™. Recover lost data from your PC or digital device. Get back accidentally deleted documents, music, photos, email, videos, system files, and even entire folders. Search and Recover restores missing data from hard drives, CDs-DVDs, cameras, MP3 players, flash drives, and more. [RRP When bought separately: $39.95]. DriveScrubber®. Secure your personal information when you sell, donate, or recycle your computer. DriveScrubber permanently erases your hard drive data, exceeding Department of Defense security standards and ensuring that your private files will never be recovered. [RRP When bought separately: $29.95]. 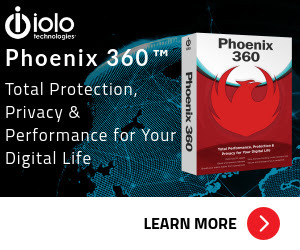 iolo Phoenix 360 – The Most Comprehensive Performance, Protection, and Privacy Package for Windows, Antivirus, Password Managers, Privacy Protection, Total Security, Tweaking & Cleaning by iolo technologies LLC. Introducing Phoenix 360, 7 innovative products — including all-new ByePass and Malware Killer — fused into one comprehensive, easy-to-use protection, privacy, and performance suite. Get iolo Phoenix 360 license with 60% Off Coupon in the exclusive software discount coupon promotion by CNET. Enjoy for Your Digital Life with this All-in-one Total Protection, Privacy, & Performance!